Splott and Tremorfa is one of the popular suburb of Cardiff. 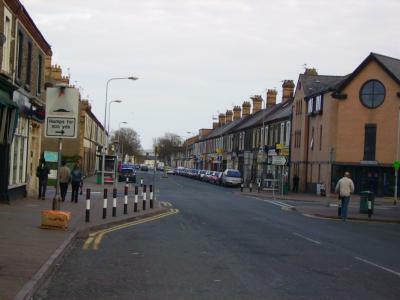 Splott and Tremorfa is today a very popular residential area of Cardiff with a diverse array of cultures and religions. Coupled with good and easy access to the City Centre either on foot or public transport. Minutes from major roads (M4, A470 and A48). The area offers good selection of primary and secondary schools; playing fields; parks; and pubs. Flats, houses and apartments to suit everyones' budget makes Splott and Tremorfa very attractive to all age groups. Splott is probably abbreviated from the term “God’s plot”. This is derived by the estate been originally owned by the Bishop of Llandaff around the Norman Conquest. For centuries Splott was little more than moorland. In the 18th century the land was put to good use and was worked by 3 farms. This land was farmed until the late 19th century and was purchased by Lord Bute. Lord Bute transformed the area by erecting the East Moors Steel Work which dominates the local landscape. The steelworks has for over 90 years produced millions of tons of steel annually. Local housing estates were erected to house the workers at the East Moors Steelworks. A rail link between the steel works and Cardiff docklands was laid prior to World War I. This rail link became a dividing line separating the built-up Splott area and the open fields of Tremorfa. Splott Park adjacent to the GWR railway line was donated by Lord Tredegar in 1901. The first school was built in 1882 catering for 1500 pupils whose parents worked the local steel mills. Unfortunately this school no longer exists. Splott Leisure Centre stands today as a monument to the school’s past. 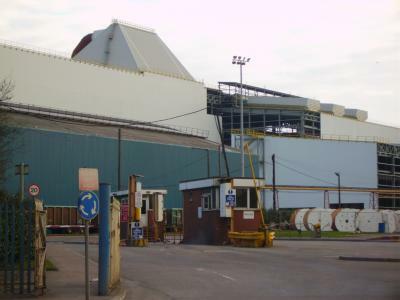 The Steel Works is being refurbished and expected to be completed by 2008. The refurbishment is giving work and a new lease of life to the local community. The A4232 provides access to the docklands and M4 motorway bring in the raw materials and exporting processed steel for the mills in Cardiff and on the continent. This route also provides Cardiff commuters with an alternative route into and around the city centre as well as Cardiff Bay. Splott park was the pride and joy of the area as it has a cricket pitch (with expensive nets), a bowling green and Bandstand. Splott Park still remains a focal point for the community as a recreational centre and sports grounds for the local schools. Inter-clubs matches are played regularly on Saturday and Sunday mornings. 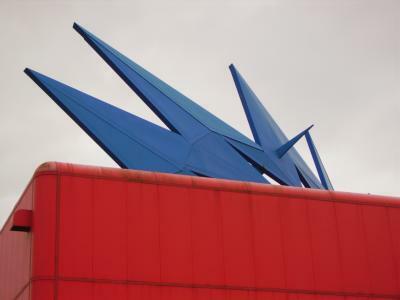 Star Leisure Centre, Splott Road. Refurbished in early 2006 and boasted: 6 badminton courts; Fitness suite; softplay; meeting rooms and function rooms. A selection of hot and cold drinks and snacks are available from vending machines. Splott Swimming Pool, Muirton Road. Currently being redeveloped. Splott Swimming Pool (originally an open air pool) opened in 1976 and was Cardiff Council's oldest pool. There was a 25 meter indoor pool with disabled changing facilities and access hoist and cradle. There was a fully equipped fitness suite. Hot and cold drinks and snacks are available from the standard vending machines. Fire Station, Cardiff Central Fire Station, Adam Street was built in 1974. Firefighters at Central attend approximately 2500 emergency call per year. The crew drive 12 tonne Fire Engines through Cardiff with only inches to spare. Cardiff Prison, Knox Road. The 754 male prisoners are held in one of the 3 wings. Cardiff’s regime includes full time education, employment in the prison workshops, and training courses. There is a resettlement unit that offers prisoners various offending behaviour programmes and work based courses, and a Detoxification Unit accommodating upto 50 prisoners. Cardiff Splott Market, Lewis Road. Cardiff has a long tradition with Sunday Open Air Markets. The original Open Air market was located at Bessemerr Road however the building became unsafe and many of the stalls were relocated to the new site. Every imaginable item can be bought from the market: carpets; garden furniture; pet food; clothes; music tapes and CDs; raw and cooked meats; sweets. There is also a good supply of refreshments :hot and cold drinks and hot food from around the globe. A great day out for the family. Nippon Electric Glass Works opened in the mid 1990's. The glass works was established to be close to the Colour TV manufacturing site in Cardiff (Panasonic) and Bridgend (SONY). Unfortunately with the development of the Plasma screen TVs and the transfer of production to the East European countries has seen the demise of the NEG plant. The Cathrode Ray Tube components factory was set to close to November 2005 with a loss of up to 400 jobs. The Grosvenor, South Park Road built in 1890's. This is very much a local watering hole serving real Ale. Facilites include outdoor seating in a converted Beer garden and the traditional skittle alley. Regular opening hours during the week and extended opening till 12 midnight on Fridays and Saturdays. The Old Airport Inn built in the 1960's. The pub takes it's name from a previous air field on Pengam green which sadly closed in mid 1950's. There is a traditional local pub atmosphere. The pub organises regular inter-pub tournaments of darts, pool and skittles. Regular opening hours during hte week and extended opening till 12 midnight on Fridays and Saturdays. The Royal Oak, Broadway. Built in 1896. The pub was also host to a thriving boxing club with a long history of boxers. The pub retains much of it's original character and decor. The pub serves a good real Ale pint. Regular live music bands. Regular opening hours during the weekend and extended to 12 midnight on Friday and Saturdays nights. TGI Friday's, City Link. Extremely popular Amercian style restaurant. Easy access and free parking. 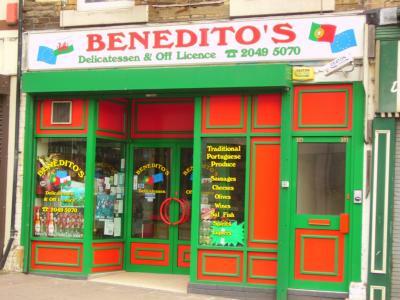 A pleasant place with nred and white stripped decor and friendly service. It is however somewhat expensive but great for special occasions. They offers hot and cold snacks at the bar and a great selection of beers and cocktails. Fun to watch the staff prepare the made to order alcoholic and non-alcoholic cocktails. McDonald Restaurant and Drive Thru', Newport Road. Standard selection of fast food and hot and cold drinks. The staff regularly organises children Birthday parties. Kentucky Fried Chicken Restaurant and Drive Thru', Newport Road. Standard selection of fast food and hot and cold drinks. Sadly the drive thru' section does not allow credit card payment. Splott park, Muirton Road. Splott Park still remains a focal point for the community as a recreational centre and sports grounds for the local schools. Inter-clubs matches are played regularly on Saturday and Sunday mornings. Star Leisure Centre, Splott Road. Classes for all ages and abilities. Soft play for toddlers; Football, Basketball, Trampoline and Gynastics for the youngsters; Circuits, Aerobics and Cardio Boxercise for the adults. Join Cardiff Stretch Card program and save money and enjoy unlimited use of the many activities at any nine leisure centres across Cardiff. Splott Swimming Pool, Muirton Road. Splott Swimming Pool has a 25 meter indoor pool with disabled changing facilities and access. Fully equipped fitness suite. Hot and cold drinks and snacks are available from the standard vending machines. Cardiff Youth Club, Ocean Way. Home of the Welsh Gymnastic team. The building is staffed by friendly and dedicated people. The staff, many of whom were County Gymnasts, are fully qualified trainers helping to provide a safe and enjoyable place to learn. There are regular children classes for all ages and abilities. The upstairs portion of the building is equipped with Judo mats for the persuit of Martial Arts Judo, Karate and Aikido to name a few. Cardiff Youth Club Weights Room, Ocean Way. Fully equipped weights room. There is an annual membership and entrance fee. Free weight machines and benches. Aerobic and Cardiovascular machines. This gym is for the serious body builder. Esporta Leisure Club, Ocean Way. Facility is split in 2 levels. Ground floor having the main entrance, changing rooms, swimming pools and sauna. There are also indoor tennis courts and outdoor clay courts. There is a good and varied selection of aerobic equipment in the upstairs air-conditioned gym. Glass walls on external walls gives an airy light atmosphere whilst doing a work-out. Fitness First Leisure Club, Rover Way. Easy access to the club with ample free parking. The club has the latest gym equipment and organises regular exercise classes for all ages and abilities. Relax after a workout in the sauna, steam room or the Aromatherapy room. The club offers the public a membership options to suit your lifestyle and pocket: off peak; over 55s; student; Gold and Platinum. Somersault, St. Catherine Park. An extremely popular venues for toddlers with a 3 month waiting list. There is a fully equipped playing area for the children to play under expert supervision. A safe haven for children to play in and for pleasant environment for the parents with seating area provided. David Lloyds, Ipswich Road one of the best sporting facilities in Cardiff. The staff are friendly and very helpful. The raqcquet sports are located in the ground floor: 4 glass backed squash courts; 4 badminton courts; 7 in-door and 7 out-door tennis courts; toddlers paddling pool; in-door 25 meter and out-door 20 meter swimming pool; steam room; Sauna; and whirlpool. The air conditioned gym and dance studio is located on the first floor. Gym team organises group exercise classes through the week: Spin; High-Lo Body Pump; in-door and out-door circuit; Boxexcerise classes to name a few. Cafe Bar and restaurant offering hot and cold food and drinks at reasonable prices.